Wheaton College has long cultivated young musicians in a tight-knit community outside of Chicago. 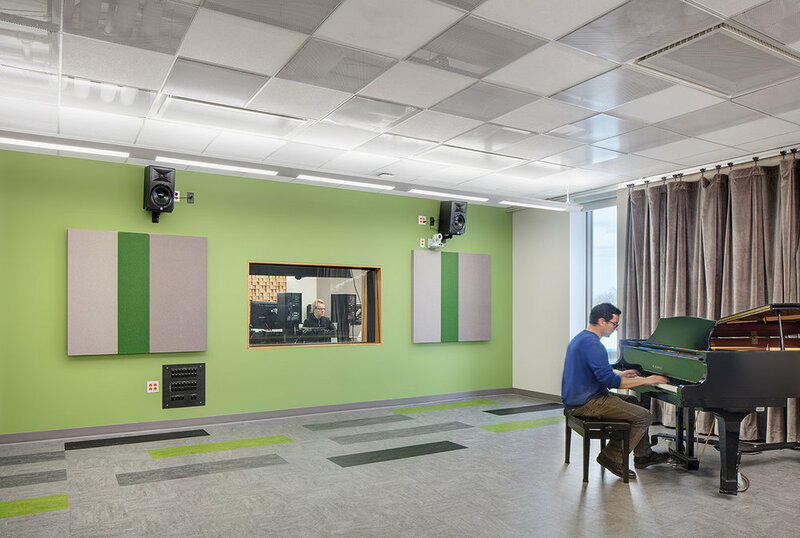 As the program has grown in recent decades, however, the community has burst at the seams in need of expanded space for faculty and students alike. The construction of a new science building on campus led to the availability of Armerding Hall to be redeveloped into a new home for the Conservatory on the central campus quad. 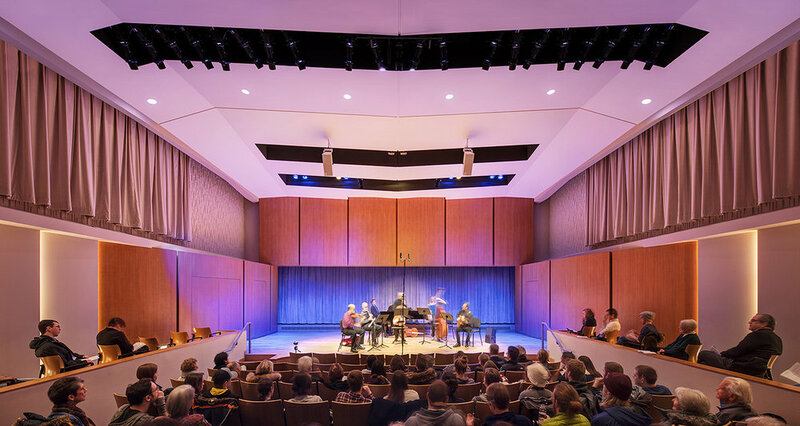 An existing lecture hall has been reconfigured into a new 100-seat recital hall with concerts expected 200 days a year. A second phase of the project will include a new 650-seat concert hall and the college’s first dedicated rehearsal hall for their formidable choral program.